The good book states that "the heart of man is more deceitful than all else and desperately sick" in Jeremiah 17:9. Though that is somewhat unfortunate it nevertheless proves true day after day...just consider any of your local news reports. Generally speaking they're more tuned into the negative exploits that people perpetrate than the positive ones, primarily because negative news is sensational and boosts tv ratings. Not that this is intended to be a moral feature, but when it comes to accounts payable invoice processing, there's always an unfortunate subset of individuals who are willing to make poor moral choices and seek out ways to exploit the accounts payable process for wayward personal gains. Thus, we feel it's imperative to identify common accounts payable risks so you can prepare for them in advance and not get duped or suffer unnecessary losses in your business. Fraud certainly comes to mind when considering accounts payable risks and there are a variety of ways this can occur. According to The Association of Certified Fraud Examiners, fraud represents a 5% loss on average to most businesses , which suggests a $3.7 trillion dollar issue globally, when factoring the Global GDP. Collusion - essentially accounts payable fraud at its worst, whereby an internal employee who has payment controls works in collaboration with an external supplier to arrange for illicit payments to the supplier. This can occur through a payment exploiting duplicate payments or entirely fabricated payments. Once the payments are received by the supplier, ostensibly, monies would be split in a twisted type of profit sharing endeavor.B.Overpayment (kickbacks) - in this ruse, invoices are overpaid, again to a willing co-conspirator, and the overage amount is siphoned off for personal gain. This is also a major accounts payable risk and can occur when there is limited supervision or loose controls over the procurement and payment processes. Another juncture that can get exploited is in the area of goods receipt and payments. One of the essential structures that should be in place for all of these areas is a sound division of labor which creates a healthy set of checks and balances over who is ordering goods or services, who is receiving them, and who is ultimately paying them. Another common way that this area can go sideways is when there are gratuities or gifts extended to someone on the requisitioning side of the business. Left unchecked this could mean that a favored supplier gets sweetheart deals that were other suppliers considered may have been more competitive. A healthy practice to deploy to obviate this risk is to necessitate multiple bids or offers prior to engaging with an individual supplier so some due diligence has been established and the selection of a vendor can be justified or audited from a sound perspective. This may seem like a derivative of Number 1, but it’s worth separating as its own accounts payable risks. .Under the guise of making legitimate payments to a vendor, a phoney vendor is created and paid. Through this means, the agent making the payments is typically sending themself the money to a third party address or PO box that they access. There are other types of internal fraud that can occur, such as those involving check fraud, whereby someone tampers with or intercepts a check payment and funds are redirected to personal coffers. Alternatively, ACH fraud is another ugly means by which unsavory individuals manipulate a business payment methodology to route payment funds to their personal accounts. It's also prevalent that in these situations repetitive payments are made from an amount perspective, and often run under the radar from an approval threshold perspective. For example, if the amount of the fraudulent payment were to be increased, it may necessitate the approval and intervention of a higher level manager or executive within the paying organization and as such draw attention to the devious activity. As such, one of the ways to mitigate these accounts payable risks is to create visibility around payment issuers including payments history analyses by vendor, amount, and date and assessing for frequency and nearness to the approval threshold. Hardly as insidious as any of the aforementioned accounts payable risks that we've reviewed, but certainly equally painful, errant payments can be comprised of extraneous, duplicate, or overpayments made to a vendor due to a variety of reasons. It could be that invoices were submitted multiple times by recipients in Accounts Payable and by requisitioners, depending on how the invoices arrive for processing. While that is fairly innocuous, the unfortunate realities of the pains created by this type of error are nonetheless real. In other situations it could be that the payments made are over the amount of goods billed or received due to flawed pricing information or some other kind of variance even down to fluctuations in tax and freight charge processing. In a healthy accounts payable process and one that is leveraging accounts payable automation, it's possible to query out against previously processed invoices to prevent duplicate or overpayments before they happen, but for many businesses this type of visibility is limited. Often there is a strain on the invoice processors as they struggle with manual data entry and invoice reconciliation (2 or 3 way matching) that is enough of a struggle to keep up with, that the extra step of fraud detection is just too much to pursue in a manageable fashion. Further, it's entirely possible that if invoices are being processed from a sheer data entry effort that data entered can result in payment amounts being off due to human error / negligence. Obviously this can be cured through the use of advanced optical character recognition for data conversion or even e-invoicing methods that digitizes the transactions and eliminates many of the error prone data fields from occurring. In the few remaining items we're going to cover, we'll approach some accounts payable risks that don't involve outright nefarious activity, but rather inadvertent or somewhat negligent circumstances that can be avoided through better process insight and visibility. One of the perennial challenges that accounts payable departments face is that of organization and maintenance of a sound payables process. If invoices don't flow smoothly into the processing funnel or take copious amounts of time to trickle in from outlying locations to wherever AP is actually processing the expense, all kind of things can go wrong. For many businesses, a lack of organization around this juncture leads to invoices disappearing altogether which, as a result, causes the vendor to assess late payment penalties on top of the already owed invoice. For many businesses, this could be averted by getting immediate, up front insight to their stream of payables which empowers them to then take an appropriate action and pay timely. Beyond the pain of having to pony up whatever the late fee is, the pain of having to go back and forth with the vendor's accounts receivable department and hash it out can place a strain on the accounts payable staff (in an already burdened role) and just create less than optimal supplier relations. As such, it would be our recommendation that accounts payable managers and finance executives consider ways to improve this process through accounts payable automation. Another implication of a sloppy accounts payable process is the lack of clarity around the financial forecasting of spend. For many businesses, month end closing presents the challenge of having to accrue pending spend by department (or other criteria). If you don't have visibility with a high degree of accuracy into your process, then you're at best going to have to resort to guesswork to piece together accruals. This is doubly difficult considering point five, if payments are late or missed entirely since you won't have a remotely accurate pipeline of pending invoices. As such, mitigating this through upstream conversion of invoices to data is really the only remedy as that becomes the enabling factor to creating dynamic insight within the process. Once this is resolved, the burden of having to go out and obtain accruals and forecasting by department is bypassed. This kind of reporting can be done virtually instantaneously through reporting and as such a tighter control is placed over the process which ensures a higher degree of quality from an accuracy standpoint. When invoice processing is anchored in manual process and invoices and supporting documentation are moved manually or are bound up in on and offline methods of communication, it can be difficult to assemble an accurate picture of how a decision was rendered and why a payable was approved and ultimately paid. This can portend a host of issues for the paying organization and is something that should be addressed proactively. By not having solid insight into the approval chain of custody on an invoice, you are opening the door to issues, especially of the fraudulent type. If someone is aware that there are poor controls over the process, they may be more likely to try to exploit them in their attempt to enrich themselves. 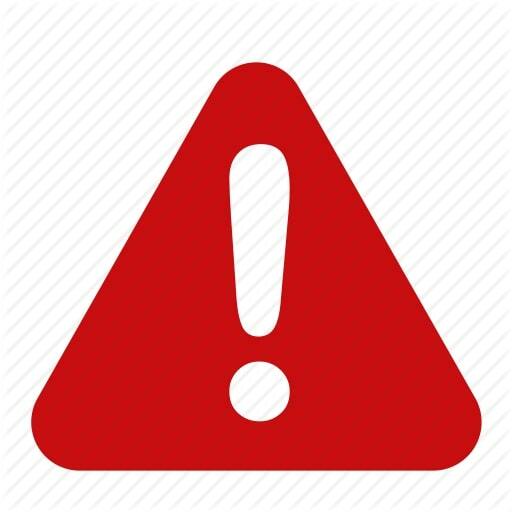 As such, if you can bring visibility with a high degree of accuracy to this area, it will be more likely to discourage a nefarious actor from attempting something illicit. From our perspective the best way to do this is to engage the use of an electronic document management system layered with both a business intelligence engine and workflow capabilities whereby you can route and escalate invoice approvals based upon your business rules (vendor segregation by approver / department, dollar amount thresholds, etc.). And in so doing retain the invoice history from the time it presents to accounts payable through processing, and then all the way through invoice posting to the ERP and ultimately reconciling payment information to the invoice, for an end to end lifecycle of the document. When you have something like this, it's very powerful as a holistic view into the process and a safeguard from future fraud activities. Further it's the kind of bedrock data that an auditor is going to look for when assessing a process to make sure quality controls and safeguards are being adhered to and enforced. There are many things to consider when assessing and curing accounts payable risks within your business. Hopefully this piece has given you some things to think about and we certainly recommend exploring the use of an accounts payable automation system to make enforcing controls and ushering in visibility to your AP data a reality. 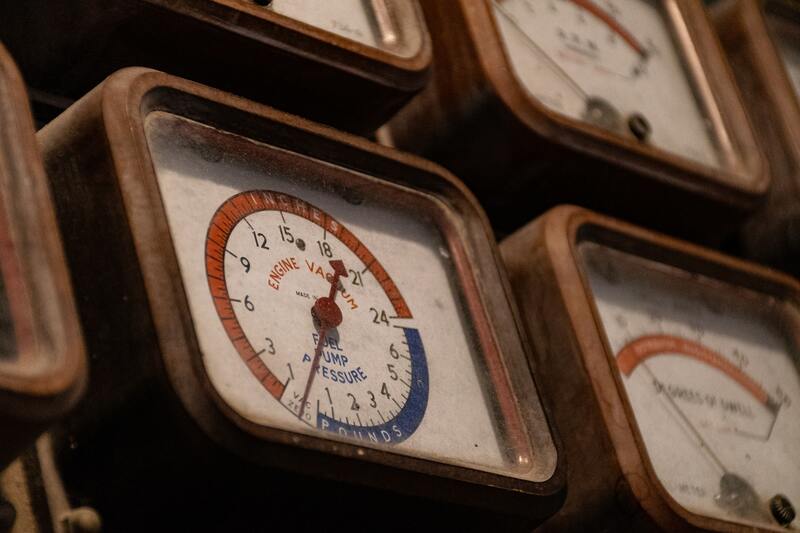 The Top Nine Accounts Payable Metrics You Should Be Tracking But Probably Aren't! It's been said that a mind stretched by a new idea can't return to its original dimensions. You can source that to Oliver Wendell Holmes or Ralph Waldo Emerson, depending on your search results, but the notion stands nonetheless. In the accounts payable automation arena, it's especially true and our brief today is primarily aimed at helping you understand the accounts payable metrics that you can measure and manage in ways that perhaps you previously couldn't. We've routinely heard time and time again from the various finance leaders we're consulting with that in manual accounts payable environments, they have little to no visibility or control over a given process. At best it's limited visibility, which leads to suspect decision making and often times creates negative consequences to the business. a). Approval processes: when it comes to invoice approval processes, not having invoices in an automated electronic workflow means zero insight into where the process is at and who has responsibility over a particular transaction or set of transactions. This could mean bottlenecking to a process if an approver must authorize a transaction and / or assign a GL code to it. b). Payment dates: if you don't have a timeline for paying bills that is clearly visible and articulated in such a way that you can prioritize payment based upon due dates, you could easily be setting up to pay your vendors late and in so doing incur late payment fees that are both unnecessary and unprofitable. c). Invoice status: if you're not assigning a status to your invoices, regardless of whatever stage they are at with respect to how you currently process them, it means that you can't explicitly identify exactly where they are at in the process. This stinks, especially if you're having to manage vendor relationships and they call into you turning the heat up on you to provide them needed payment details. These are just a few examples of some of the pains that literally thousands of businesses just live with despite the fact that there are automation technologies that can lift them above the mire that is manual accounts payable. So what are some accounts payable metrics that you should be tracking but probably aren't? It's a good thing you asked that and we want to devote the rest of this piece to addressing that to shed some light. For starters, we want to start on things that have immediate tie-backs to efficiency and translate to fiscal impacts. 1. Time saved - When you can start to gauge how long things are taking to process especially by type of invoice you are processing you can start to gain perspective for what's moving quickly or slowly and then begin to analyze why. Only once you understand the landscape for opportunity and benefit can you start to make the adjustments necessary to improve. 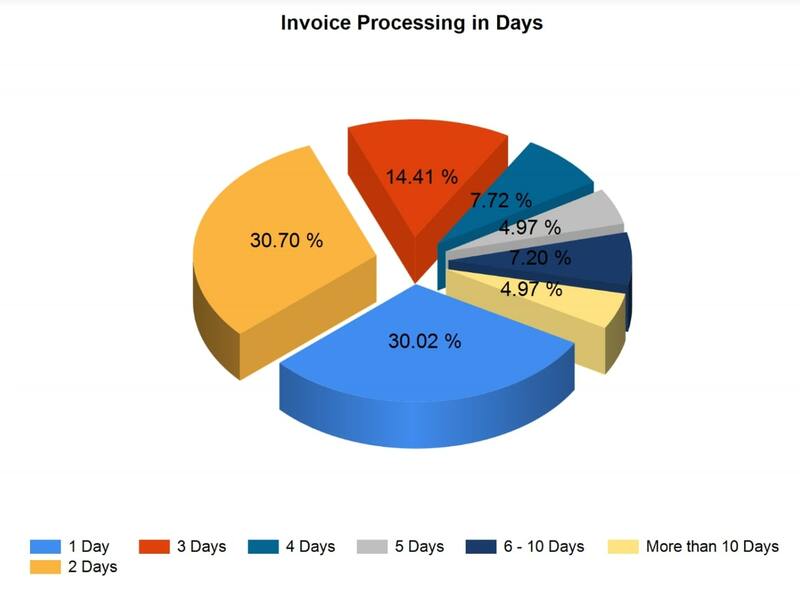 Another of the accounts payable metrics that’s foundational is invoice processing in days as you can quickly see how efficient or not you are at cranking through your invoices from presentment to posting. This also has obvious implications when evaluating individual processor productivity and can lead to establishing new standards for what’s possible per full time employee via accounts payable automation! 2. 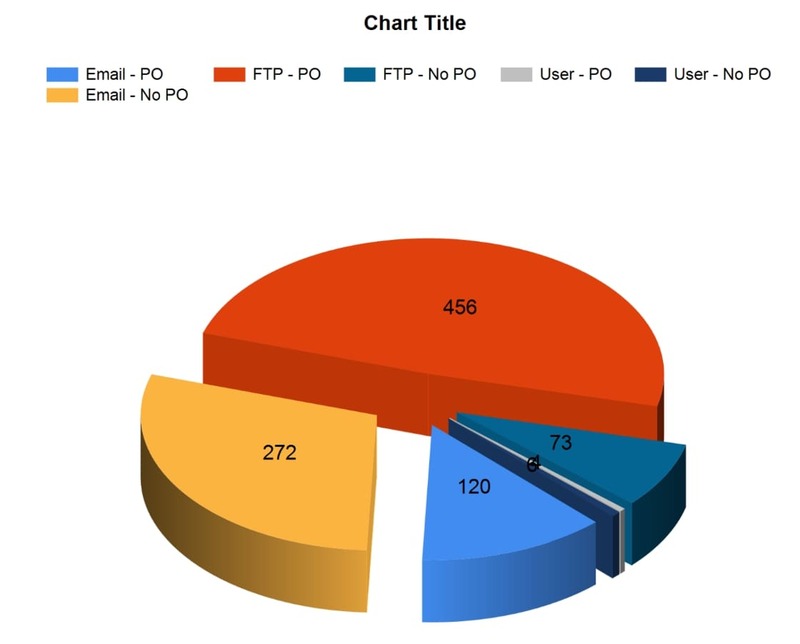 Accounting Staff Productivity - This may be something that is more relevant in larger AP departments, but nonetheless if you have a staff larger than one it may be helpful for you to understand who is processing what set of invoices and how efficient they are at their job. Additionally, tying into point #1 above, you can start to overlay the subset of invoices that they are responsible for as a consideration for their actual workload and as such, gain insight into why they may excel or lag behind in terms of efficiency. Essentially, you can use benchmarking and reporting within a robust accounts payable automation platform to give you the data you need to better manage your own staff. 3. Discount Capture - One of the easiest ways to flip AP into a profit center is through the capture of early payment discounts. Far too many businesses do little or nothing in terms of pursuing these opportunities. For some it's a lack of awareness or tenacity to pursue them...for others it's lack of visibility into what's available and for others it's a lack of execution. Jumbled systems and no insight into what's on the horizon for early payment discount opportunities means chances squandered. By managing a dynamic process against a dashboard interface factoring real time data, you can quickly assess what a legit opportunity to pay less and thus create dynamic savings for your business looks like. Once identified it can be executed on and the max value for AP can be achieved. It doesn't take a ton of capture from a percentage of relative spend basis to offset the cost of an empire AP team, and we've seen these types of numbers scale substantially depending on the size of the business, making this an absolute gold mine of an opportunity. 4. Approver Efficiency - Accounts Payable staff is by no means the only subset of people in an organization that can aid or impede the efficiency of a process. For Non-PO based invoices approvers have their part to play. By getting insight into your stack of approvers and how quickly they are turning invoices in the system you can make strides to squash bottlenecks before they arise. Advanced accounts payable automation systems will allow you to put hedges in place over a process by way of automated delegation in the event someone is sick or on leave so that invoices can flow to another approver for payment authorization. Additionally you can use time-based escalation protocols to level invoices up to get to a decision maker that can take action before you lose discount opportunites or get jacked by late fees. 5. 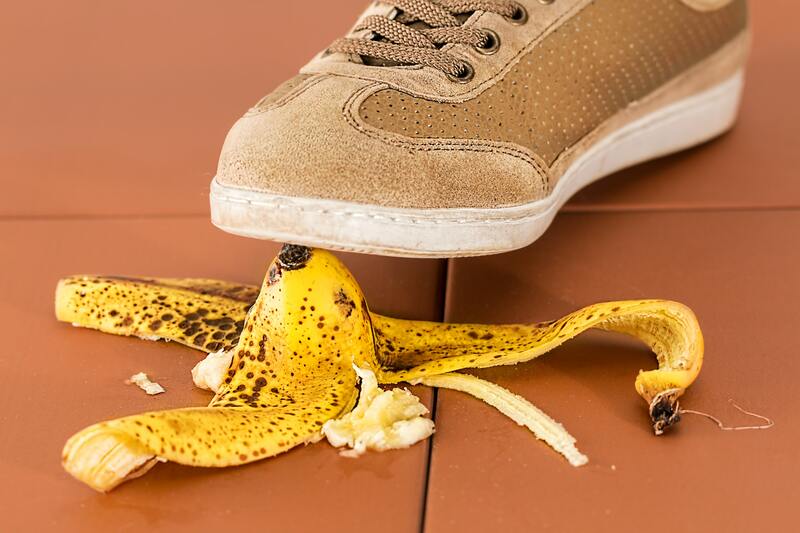 Exception Rates - Again in line with understanding the core of a matter, getting to know how invoices are flowing through your process is key and more importantly understanding what types of invoices are kicking out as exception to the process is paramount. This can help you isolate where the root of the problem is...for instances, if you keep getting line item and pricing mismatches on PO based invoices, it could mean you've got a sloppy procurement person on staff who needs to get their act together so the good of the team is promoted or it could mean you need to reach out to your vendors so you can get on page in terms of pricing or whatever the issue is. Bottomline is when you can see what the exception rates are especially by type of invoice your processing or by vendor you can do a deeper dive and enhance the process on a go forward basis. Getting this kind of clarity into your accounts payable process via the visual manipulation of accounts payable metrics is massive, especially when looking to prove out business case justification for the gains of AP automation! 6. Straight-through processing - One of the hallmark accounts payable metrics to get excited about...essentially it represents the subset of invoices that move through your payables environment with zero manual touches. For anyone who is a manager of the ap process, this is one of the most common desires that we've heard expressed...less manual intervention, less keystrokes, more time saving. Well, the goal of accounts payable automation is obviously to move as many transactions into the sphere of automated invoice processing where the automation technology is driving invoices along their respective tracks and in many cases it's possible to push a large subset through when you have solid validation techniques in place and 2 or 3 way matching executing and validating itself. If everything is netting together from either an invoice and PO document (or with a receiver on top of it), why would it need manual intervention. The higher you can crank this subset of invoices percentagewise the happier you'll be. It means you'll be getting more for your investment into automation and this becomes the real juice to transforming the front end of invoice processing. 7. Percentage of suppliers accepting electronic payments - An additional insight that is crucial is tracking the number of vendors that are accepting electronic payments. Why? For starters ePayments cost far less (check this post out on that front). But also, integrated payables, and specifically virtual credit card payments represents one of the primary ways you can monetize your payment stream and literally flip AP into a sustainable and sizable profit center. If you're not actively pursuing integrated payables you are behind the curve and suffering for it. This represents the lowest hanging fruit in terms of making smart and low risk decisions for improving AP and can be done before or after automation AP invoice processing. 8. 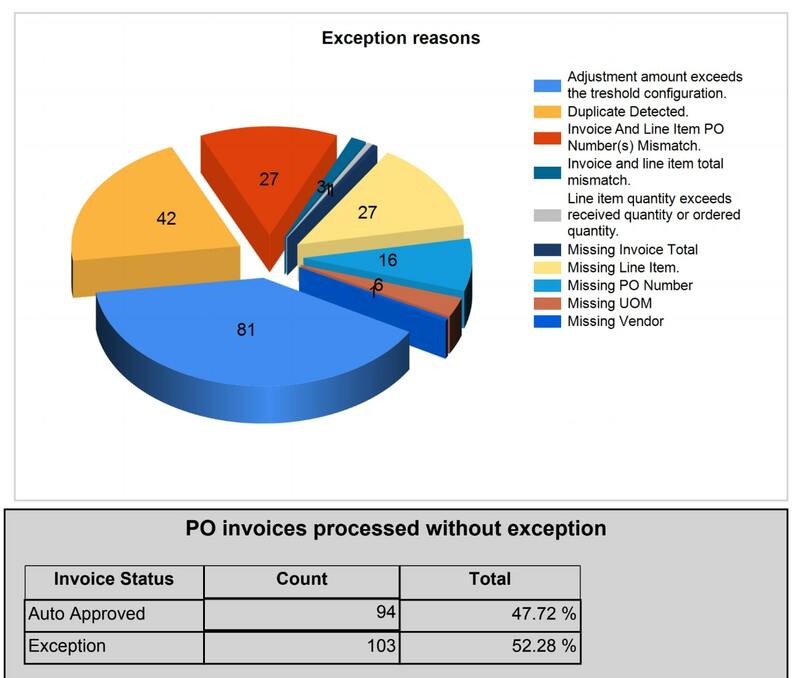 Percentage of invoices tied to a purchase order - This may not matter much to you but if it doesn't, it could. It all depends on how you enact controls and what your comfort level is with getting requisitioning authorization front end in the process. If that's something you want up front then this is a metric you're going to care about. Essentially you'll be tracking the flow of invoices in your businesses that have originated from such a process and thereby be harnessing this subset of accounts payable metrics to effectively gauge your level of control over your purchasing process. Accounts payable metrics like PO vs No PO tracking is pivotal for gaining insight into the degree to which you have solid controls in place over your process to curb unauthorized spend or the potential for fraud. 9. Accrual Reporting - If you're going through a month end machination by calling out to various department heads or approvers to get a lay of the land in terms of the invoices that they may be sitting on or know will be coming in you are living in the dark ages. When you have all invoices converted to data upon immediate receipt into your process you've got the data at your fingertips and that entire effort of inquiry can be shoved off a cliff and with a higher degree of accuracy than what you may previously have known. This is a massive win for any AP manager or controller who is doing this at each month end. There’s really not a limit to the number of key performance indicators or accounts payable metrics that you can track when you have a digitized, automated process in place that gives you rich and dynamic reporting capabilities you can really unearth the gems that will help you attain better business outcomes. From advancing tighter controls over the process, to driving internal accountability, to reducing cycle times, to monetizing your process and enhancing its strategic value the possibilities afforded through tapping into accounts payable metrics are limitless. We invite you to continue your learning by checking out the ebook below on the four keys to maximizing the value of accounts payable. For many companies, the fourth quarter represents some of the most challenging times of the fiscal year. Besides an often frenetic push to hit revenue targets, frequently driven by end of year promotions and holiday initiatives, you have a glut of planning activites that are layered on top of already busy staff. Couple this with the financial reporting responsibilities of year end activities and you've got the perfect storm....of fun stuff.....riiiight. Having worked with finance executives, managers, and staff for years, we get it. There are many things you can doing in the financial back office that is accounts payable, but there are times when you have to lift your gaze beyond the pale to consider other, better options for the way things get done. With respect to b2b payments, we believe there's a mighty strong case for partnering with an organization focused on streamlining this nuanced area. B2B payments represents a shifting area that is demanding and multi-faceted for virtually every business that is trying to keep pace with the rapidly changing payments arena. As we've discussed previously, there are already a plethora of things to consider when looking into b2b payments strategy, we’re going to describe below but the key take-away from this post is that you need not go it alone. It's been said that experience alone is a tough taskmaster, and that there's wisdom in walking in the steps others have taken. In other words, you can bypass some of the mistakes and setbacks others have faced in the business to business payments arena by gleaning wisdom from those who've gone before. As the good book says, "by wise counsel is a successful war waged". So as we explore business to business payments a bit in the ensuing paragraphs, we want to make the case for the wisdom in gleaning counsel from where others have walked. If it helps you in the process of evaluating your current payments landscape, and reflect and think on the art of the possible as it pertains to transforming AP payments.then we've done our job. If you've not already automated front end invoice processing, then you're extraordinarily busy with invoice entry, validation, 2 or 3 way matching and the like. We've got a ton to say about gaining leverage over the process and making it as effortless as possible, and you can check that out over here. However, if that is the situation you're stuck in right now, optimizing business to business payments is not probably top of the fold for you because you're probably behind the eight ball from a workload perspective already. Ancillary things like shifting the payment type to a more strategically valuable one is something that is done with a high degree of intentionality and if you're people and your process are barely keeping you above water, then what are the odds you're getting to high value accounts payable priorities, when the basic ones are bogging you down. 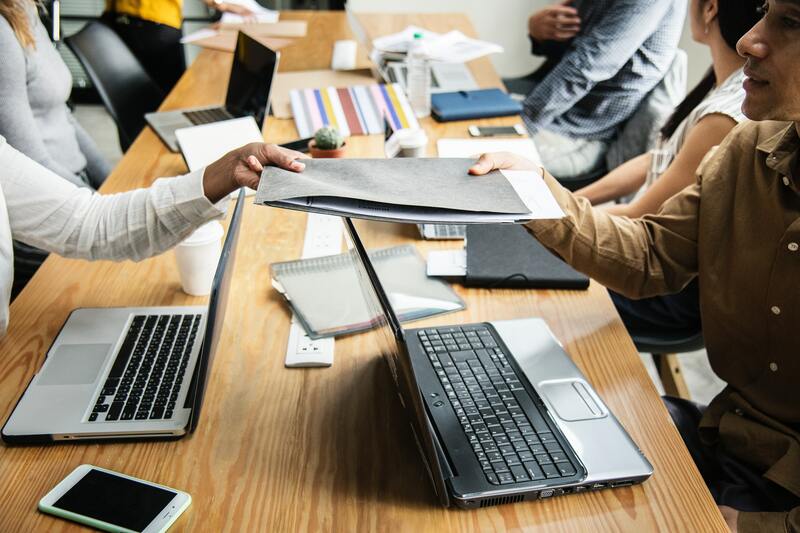 The point here is with the right b2b payments partner, you gain the personnel leverage that they have to offer, specifically in areas like vendor outreach and onboarding. A major consideration for virtual card payments, which is a subset any solid b2b payments partner is going to have serious command of, is that said partners can quickly assess which companies are likely to accept card payment technologies based upon established card networks and databases of previous spend data. With this said, you can quickly get on the road with virtual card payments, reap their rewards, and identify the vendor base that will require additional outreach. Done correctly, this outreach effort can be offloaded to the right payments partner and they can lever the time value of money to gain mindshare and card acceptance amongst your vendors. According to research from Deloitte Consulting, the global payments market is estimated to hit $23.1 Trillion dollars by 2020. The payments landscape is shifting. While we don't know everything in this space, we know that's a lot of zeros. We also see in the data from Deloitte that payment trends are shifting, as ACH is set to displace check consumption by 2020 as well. The other thing we're keenly aware of is that there are myriad payment types that are available for use: cash, checks, wires, ACH / EFT, virtual cards, cryptocurrency, and the list goes on. This is difficult to keep up with on your own, let alone the things that technology portends in the future. Business to business payments partners have deep command of the space, and the vision and ability to adjust to the disruptive changes of the digital age we're in and accelerating through. Middle market businesses are underserved in this area. Specifically, we're talking about companies in the $50MM-$1BB range. Again, according to Deloitte, this segment of the economy represents a $6.6 Trillion dollar chunk of the US economy and one that is growing rapidly. Deloitte bandied about the words "tectonic shifts" to the payments landscape for this segment of companies and we believe this largely has to do with the lack of resources and variegated b2b payments landscape. As such, there are many business to business payments partners that are geared up to serve this market, which should facilitate some positive outcomes for both parties. The upside to this is that by switching to modern electronic b2b payments, you can minimize the costs associated with traditional payment means and pave the way for sustainable cash rebates in to the business via virtual credit card payments, thereby flipping accounts payable from a cost center into a profit center. We touch on this over here (is there supposed to be a link? ), as one of the key pillars to maximizing the potential value of the AP process. 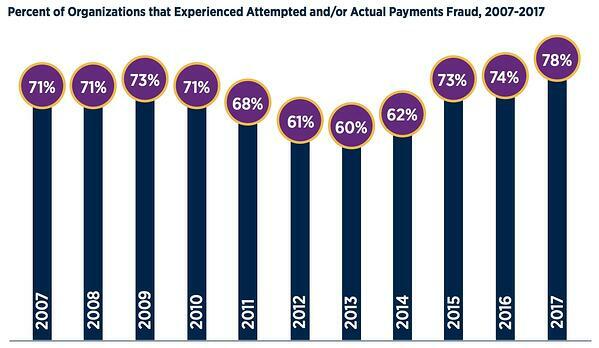 Payments fraud is on the rise. Not surprisingly with the proliferation of b2b payments and the various electronic mediums they encompass, hackers are growing more brazen and sophisticated in their schemes to defraud payers. A shocking stat from the Association For Financial Professionals 2018 AFP Payments Fraud and Control Survey report where they assessed 682 different companies, nearly 78% had reported an incident or attempted incident of fraud in 2017. This is staggering and one of the conclusions of the article is essentially that the average company is woefully ill-equipped to prevent these types of events from happening left to their own devices. As such, by joining with a b2b payments partner, you can harness the strengths, protocols, and security measures by solid fintech institutions that proactively engage countermeasures against fraud incidents. Things like positive pay, duplicate payment detection, hierarchical automated approval workflows with division of duties, and two-factor authentication for payments are all building blocks for creating a dependable and secure payments infrastructure. Further data from the same report suggests that the impacts to the bottomline are not nominal, but represent a full .5% of top line revenue in negative impacts from fraud incidents. Business to business payments partners have tools to facilitate your vendors' payment reconciliation processes. This is a bit more of an outlier to the overall conversation, but there are tools in the market that can make reconciling and ingesting whatever payment stream they're taking in much easier. For instance with regards, to virtual card payments, where your vendor's accounts receivable team will have to pull in and reconcile card funds, there are tools from third party provider that afford high levels of robotic process automation to expedite payment processing and minimize human involvement. This can't be overlooked because it eliminate a critical barrier to adoption for this payment rail. As we've touched on in previous content briefs we've posted, there's a broad range for payment processing costs. The point here is that by partnering with an epayments focused b2b payments partner, you'll be on track to converting a high percentage of your payments to those most financially beneficial to you. Old school methods like wires are the most obvious suspects when evaluating payments from a cost perspective with nearly an $11 average wire cost coming in at the top of the scale. Checks do a bit better and come in just under half of that figure at around $5.14 to process per transaction according to The Accounts Payable Network, still not an insignificant amount and they lack the immediacy and finality associated with wires. However, as it stands right now they are the dominant type of payment in the market though as stated above it seems this is ripe for displacement by the end of the decade. ACH / EFT is the lowest cost alternative to the first two mentioned in this section averaging about $.50 per transaction. Considering they are much faster to settle than a check and bypass the time and cost associated with postage and mail processing they've grown tremendously in the past few years. However, other than being a reliable vehicle for paying, there is not much other fiscal incentive besides cost reduction associated with their utilization. Virtual card payments incur no costs to the payer, but as with traditional credit cards the merchant accepting the card is assessed a merchant fee for utilizing the payment rail and network that is sending the payment. These fees can vary but generally fall within a 2-4% range depending on the network and the most common for B2B payments are Visa, Mastercard, and American Express. Another cost consideration for merchants accepting this payment type is the amount of interchange that is deducted from the transaction. 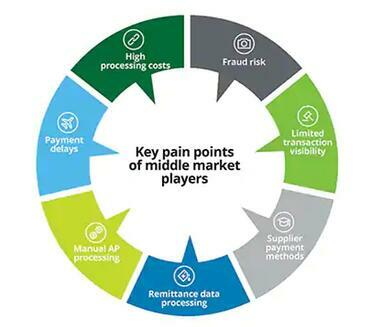 In other words, some vendors have advantages in this area via lower interchange rates through various pre-established processing rates due to their agreements they have in place with the various card networks. Regardless of the interchange, the virtual card represents the best option for many accounts payable departments to monetize their payments stream in a sustainable manner, and one which is only growing in the market and offers high security standards and numerous business advantages. Managing supplier data is easier with a partner. This can be down to each company's individual payments process, but it certainly helps when you have a standard operating procedure that is repeatable and optimal when it's automated. Most solid b2b payments partners have robust technology stacks that will set, retain, and automate payments to vendors factoring their preferences on your behalf so that payment execution is streamlined and optimized for your business where possible. If you haven't taken the time to really establish a solid b2b payments strategy, it's a crucial thing to do as it will certainly influence whether you have need of a b2b payments partner as we've looked at in this brief. If you're wondering about you can improve, we encourage you to check out the eBook below that talks about four keys of maximizing the value of accounts payable...it'll help you on your journey.